Text messaging means sending a short text message to one or more devices. This article describes the various mechanisms for sending a text message. Note: not all devices support text messaging. In order for devices to receive broadcast messages they must be on and have cellular / Wi-Fi / satellite coverage. In addition, messages may be shortened according to the capabilities of the device. When sending a text message, GAP selects the most appropriate channel for each device. For example, for a SHOUT Nano, the text message is sent via the Iridium network. For apps, a push notification is used. Some devices (such as apps) allow you to select a different channel (i.e. SMS). You may broadcast a text message to all devices in your current view. If you have this permission to send broadcast messages you will see the option on your Home page in the section "Broadcast". 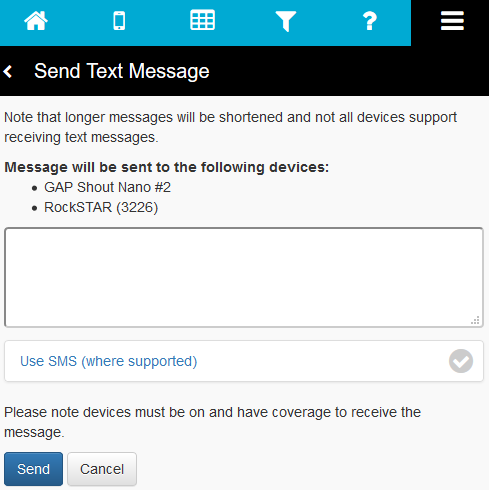 If you want to default to SMS (for devices that support it), select the "Use SMS (where supported) check box"
You may broadcast a text message to all devices inside a particular geofence. You may broadcast a text message to all devices inside a circle or polygon that you draw on the map. 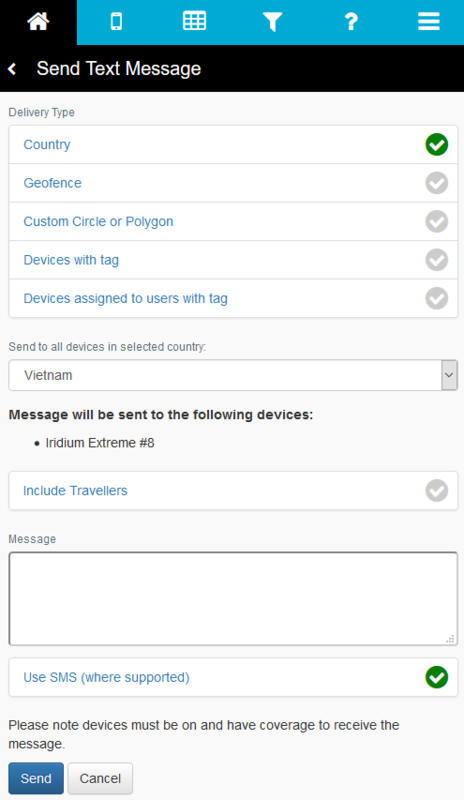 You may broadcast a text message to all devices with a particular tag (or tag value) or to devices assigned to users with a particular tag (or tag value). Select "equals" from the drop-down list and enter a some text in the "Enter tag value" text box. 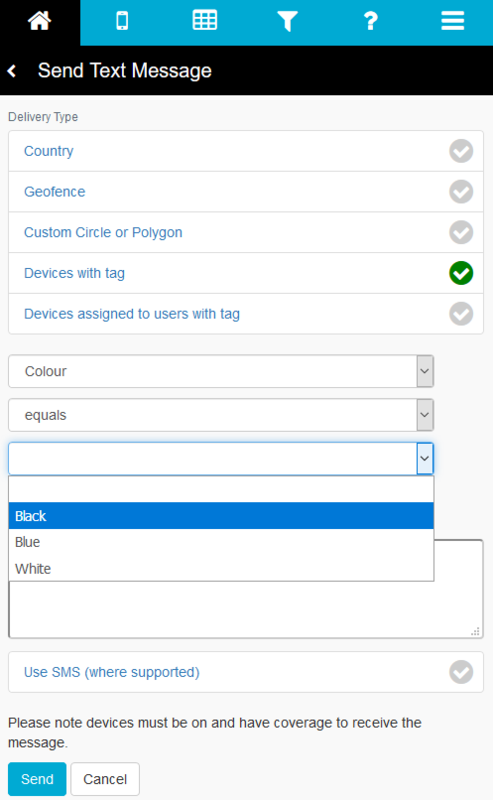 Alternatively, select "is not empty" to select devices with any value for the tag in question. You can also use "Conversation View" to send and receive messages in a view similar to that provided by a smartphone.